Los Cristianos on the south coast of the popular island of Tenerife and while also a very popular resort town, it's less busy than Playa de las Américas and retains some of it's pre-tourism characteristics. There are ferry links between Los Cristianos and San Sebastien de La Gomera on the island of La Gomera. These ferries are operated by Fred Olsen Express and Naviera Armas. Below you can find Los Cristianos ferry times, as well as our best deals. 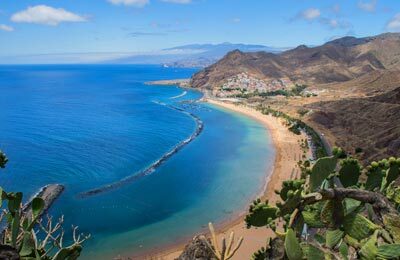 Los Cristianos can be found on the south coast of Tenerife between the mountains Guaza and Cristianos. It is a popular tourist destination, having changed from a quiet fishing village to a rapidly expanding modern town since the 1970s. The town offers beautiful sunny weather all year round, with two black volcanic sand beaches and many restaurants and bars to choose from. Los Cristianos also offers a number of popular excursions for its tourists, ranging from dolphin and whale watching, submarine safaris, a waterpark, scuba diving golf, party cruises as well as a number of water sport activities. So whether you want to relax in the sun or get up and participate in excursions, Los Cristianos is a perfect getaway all year round. 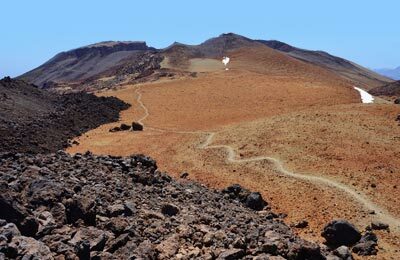 For more information on the Canary Islands in general, please read our Canary Islands guide. As it is not a very large port, there are only basic facilities including parking and shaded waiting areas. The port has plenty of space and is well designed for cars with clear signposts indicating where to go for each ferry company. Los Cristianos port is easily reachable and can easily be seen from the beaches. For more information about ferries to and from Los Cristianos please see our ferry guide page.